I feel blessed to have the talents I do and the opportunities given to bring in some income from those talents. Several years ago, I met Deb Leone through another community organization. Deb founded the Melonhead Foundation about 10 years after losing her youngest daughter to leukemia. Melanie was a beautiful young girl with aspirations to swim for the US in the Olympics. Her swim friends called her “Melonhead” after she lost her hair and signed her head before meets for luck. The Melonhead Foundation provides financial support for families going through pediatric cancer treatments (typically one parent must quit work to be available for hospital/treatment/care issues). I was touched by what Deb had accomplished and a friendship developed. I’ve been providing graphic design work and printing for several years for the fundraising events. That was so easy to do given my other business. And I wanted to do more, but finding extra money each month is never easy. One evening after a successful fundraising event, Deb and I were relaxing and talking. I shared with her my dream of actually getting a website up for Joolz by Lisa and having a page of watermelon-themed jewelry (I had no real idea of what I meant by that then) where a portion of the proceeds could benefit Melonhead. 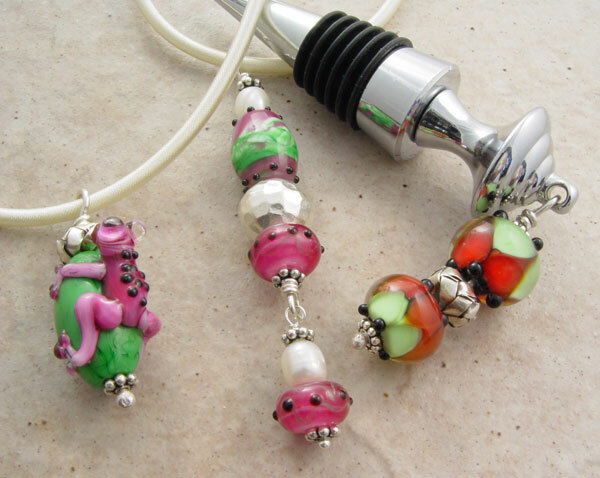 I started searching eBay for watermelon themed lampwork beads and building a stash for that time. 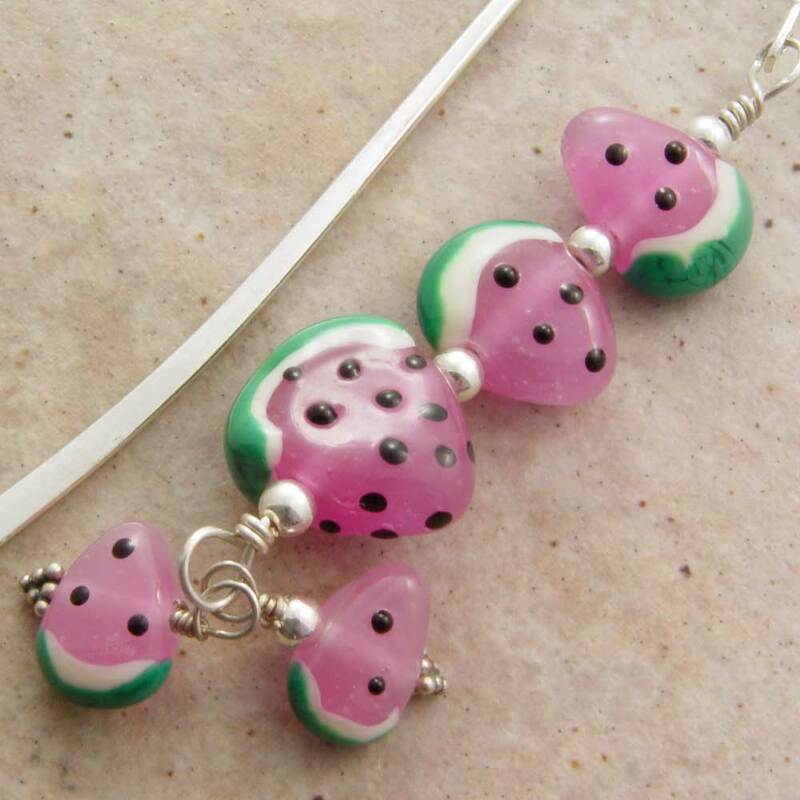 In late 2006, the page on my website became a reality and inbetween I was again blessed with donations of watermelon-themed beads from beadmaker friends. It was an amazing outpouring of support to help me make a difference. My friends would ask “what kind of beads did I want?” and my response would be “Make what your heart tells you. 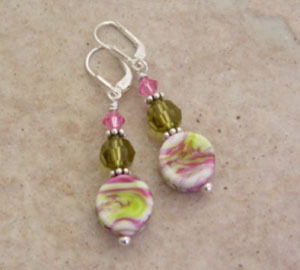 Use the your style of beads in your interpretation of watermelon colors or shapes and I’ll create jewelry around them.” I didn’t want them to have to fit a mold and I also figured that the more loose the interpretation, the more people I could appeal to with jewelry, benefitting the organization. Here are some examples of collaborations that have resulted. There are several Melonhead events every year with silent auctions or raffles and I am always able to donate a couple of Melonhead Joolz. Since local supporters of the group often attend the same events, it is fun to see bidding wars going on. 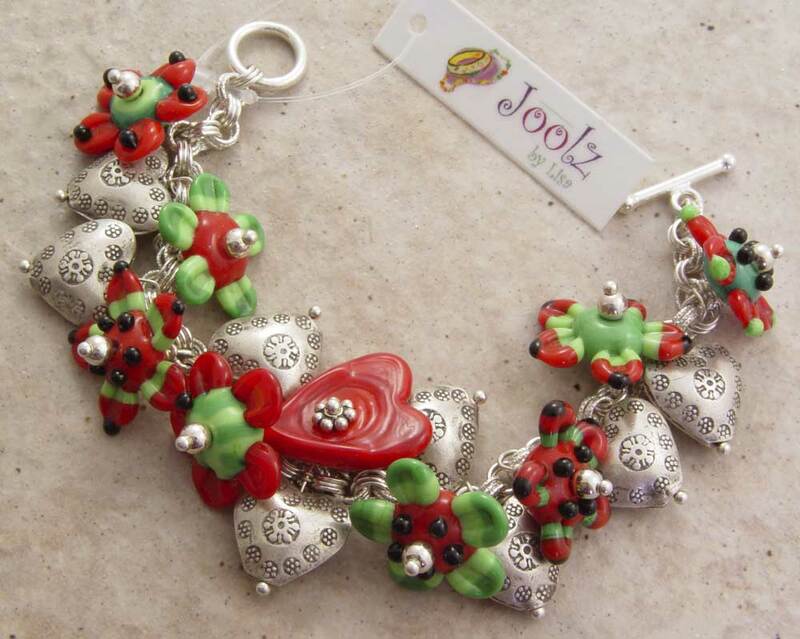 In addition, the Melonhead Joolz are on my website and now on Etsy. I’m am estimating that by the end of this year, $2,000 will have been raised for Melonhead from sales and donations of the Melonhead Joolz. 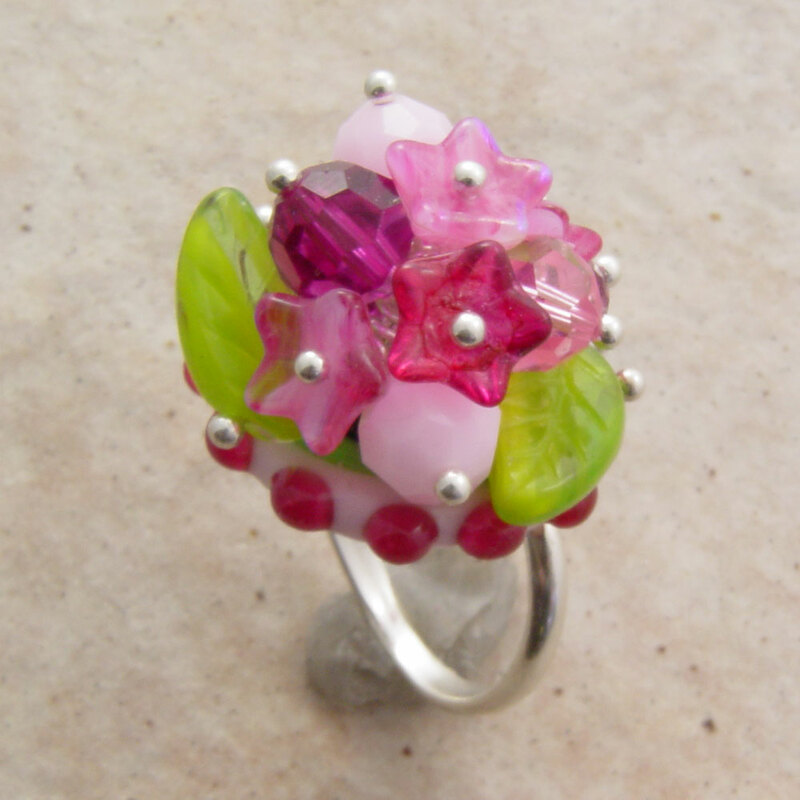 I am honored to be able to do this and couldn’t do it without the support of my many beadmaker friends. I have a stash of beads waiting to be made up and I know when I run low, my friends will come through with more. What I love is seeing the interpretation that they create. Some whimsical in watermelon shapes, some an idea with watermelon colors, each unique and different and made with love and support. In January, I was asked to serve as a trustee on the Melonhead Foundation board. Take a look at the Melonhead site, watch the video of the difference Melanie Leone made in her short life, and bookmark my store for the next time you need a pick-me-up that will make a difference in someone else’s life too.